Home / Samsung / ML Series / Samsung ML-4050N / ML-D4550A – Genuine Samsung Standard Yield Black Toner Cartridge – delivered FAST & FREE! ML-D4550A – Genuine Samsung Standard Yield Black Toner Cartridge – delivered FAST & FREE! Quoted page yield 10,000 x A4, based on 5% toner coverage. LOWEST PRICED CARTRIDGE. Free rapid delivery. 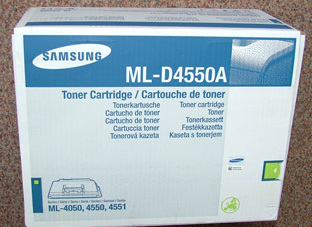 ML-4550B – Genuine Samsung HIGH YIELD Black Toner Cartridge – delivered FAST & FREE! 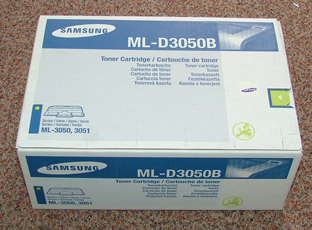 ML-D3050B – Genuine Samsung HIGH YIELD Imaging Unit (toner/drum) – Delivered FAST & FREE! ML-4550B – Genuine Samsung HIGH YIELD Black Toner Cartridge – delivered FAST & FREE! You're viewing: ML-D4550A – Genuine Samsung Standard Yield Black Toner Cartridge – delivered FAST & FREE!